Professor Kanter publishes and lectures extensively on United States, comparative, and international Disability Law. She is the co-author of the first law casebook on international and comparative disability law and has published numerous articles and book chapters on disability law. In 2010-11, she was named the Distinguished Switzer Fellow by the US Department of Education’s National Disability Rehabilitation Research Institute. In 2009-10, she was a Fulbright Scholar. 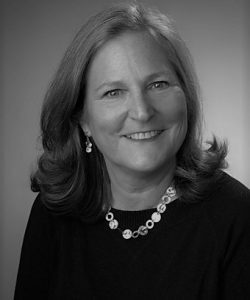 In 2005, she received Syracuse University’s most prestigious teaching award, the Laura J. and L. Douglas Meredith Award for Excellence in Teaching. She also holds a courtesy appointment in the School of Education. Professor Kanter is founder and co-editor of the SSRN Journal on Disability Law, and co-founder of the Disability Law Section of the American Association of Law Schools. She is a former Commissioner of the American Bar Association’s Commission on Mental and Physical Disability Law. From 2001-06, Professor Kanter was invited to work with the United Nations on the process that lead to the UN Convention on the Rights of People with Disabilities, and is currently researching the impact of this Convention in various countries, particularly in the Middle East. She has been invited to work with NGOs and governments in such countries as India, Israel, Turkey, Ghana, Jordan, and Vietnam on developing their domestic disability laws. At Syracuse University College of Law, Professor Kanter founded and directs the Disability Law and Policy Program, which houses the nation’s first joint degree program in Law and Disability Studies and which awards a Certificate in Disability Law and Policy to eligible students. She also co-directs the Syracuse University Center on Human Policy, Law, and Disability Studies, which is the nation’s first multi-disciplinary center dedicated to research, advocacy, academic programming, and public education on issues of inclusion and equality for people with disabilities. Professor Kanter teaches courses on U.S., comparative, and international disability law and policy, education and special education law, legislation and policy, ethics, and professionalism. Since joining the law faculty in 1988, Professor Kanter has served as Associate Dean for Academic Affairs, Director of Clinical Legal Education, and Director of the Externship Program. Since 2005, she has been the Chair of the Chancellor’s Task Force on Disability. Prior to joining the SU law faculty, Professor Kanter taught at Georgetown University Law Center and practiced public interest law at a national disability rights organization in Washington, D.C. where she represented clients before the United States Supreme Court and in Congress.